Surrender the policy and receive the cash value, if any, from the life insurance company. In many cases, depending on the age, health and life expectancy of the insured person, the life insurance policies may settle for anywhere from 10% to 35% (possibly higher) of the death benefit (face value). If circumstances have changed, and an insured person decides the life insurance is no longer needed, this possibility should be considered. This concept has again reaffirmed the fact that life insurance can be a valuable asset. The life insurance “settlement market” has provided a potentially valuable alternative, which may enable the policy owner to leverage this unique asset. Purchase a new Life Insurance policy that is more suited to current needs. Purchase a Single Premium Immediate Annuity (SPIA) and create an income stream that is guaranteed for life and/or the life of one’s spouse. Purchase and fund a Long Term Care Insurance policy. Invest the proceeds to fund a specific objective. Pay premiums on other existing life insurance policies. To determine if this alternative is worthy of consideration, one should contact a licensed Financial Advisor and insurance broker with experience in the life insurance “settlement market.” He/she will evaluate the “life expectancy” calculation, investigate funding sources and potential buyers in the marketplace and provide the policy owner with all facts necessary to make an informed decision. In order to achieve the best results, a policy owner should also consult with his/her accountant and/or tax attorney. For more information, call (847) 572-0835; cell phone: (847) 309-6300; email: acarney@bensman.com. Allan Carney is a licensed Financial Advisor specializing in Retirement and Estate Planning and Wealth Transfer Strategies. Allan is a licensed Viatical Settlement Broker. 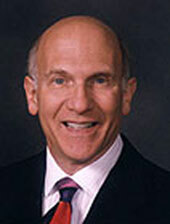 He is associated with The Bensman Group, Bannockburn, IL.